As a busy mom, I am constantly stocking up on frozen fruits and veggies. I need my produce to last until the next time I go to the store, however, I also don’t want to lose the quality and taste because I prefer frozen ingredients. 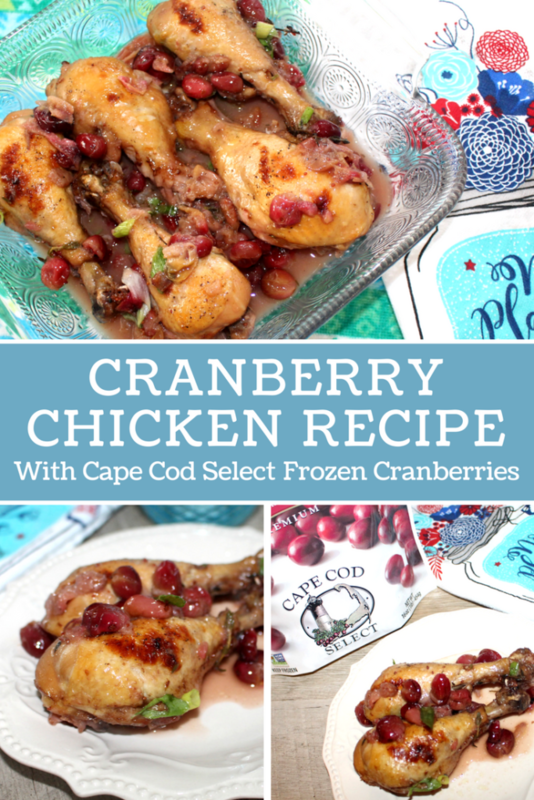 That’s why I have been using Cape Cod Select Cranberries for years, they are delicious in recipes frozen or thawed and eaten alone. 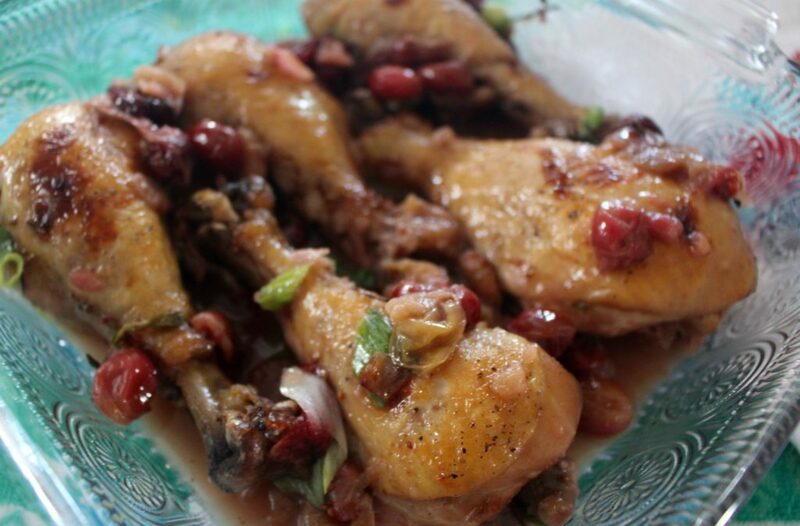 Especially in one of our family favorite baked chicken recipes, my sweet and tangy cranberry chicken thighs recipe. 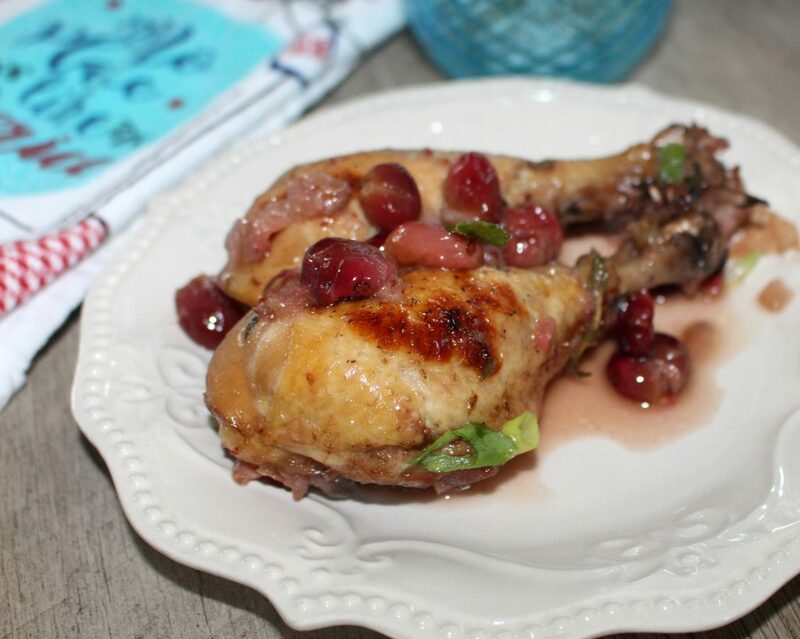 I was recently asked to participate in the Cape Cod Select Summer Breeze Recipe Challenge, so I figured this would be the perfect time to share this cranberry chicken recipe with you! It’s an easy meal that is great all year around. We eat it outside by the pool on summer nights and around the table on Thanksgiving. I love supporting small businesses and Cape Cod Select is a small women-owned family business. The Rhodes Family has been growing cranberries on their 800-acre cranberry farm for more than 75 years and is now in its fourth generation, and it’s easy to order frozen cranberries from Cape Cod Select! 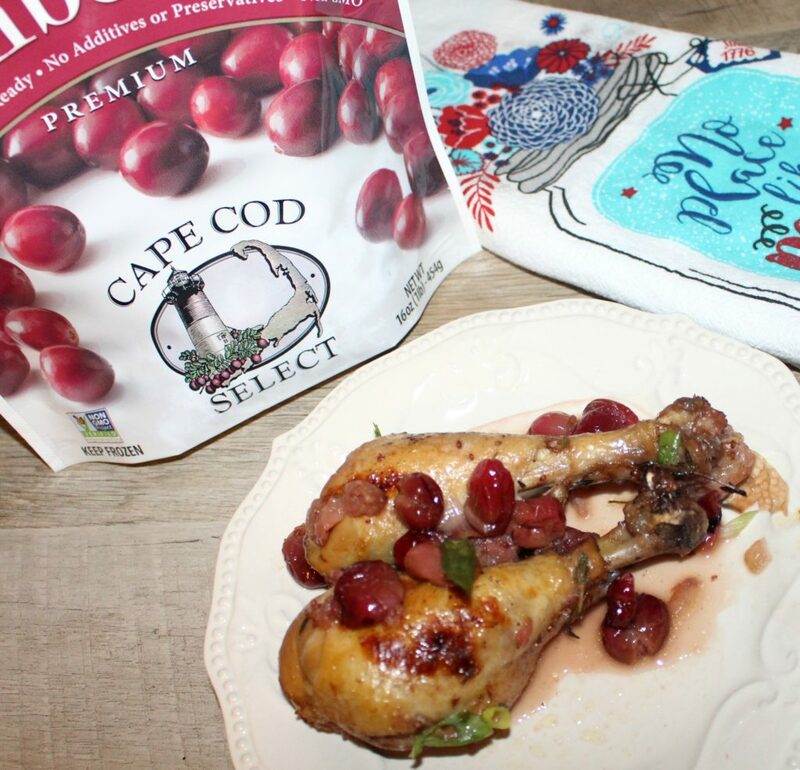 Cape Cod Select focuses on quality and produces cranberries that are grown to some of the industries highest standards and are Non-GMO verified. Plus, Cape Cod Select focuses on sustainability by powering their facilities primarily with solar power along with using better growing practices on the farm. First, get your chicken ready, clean the thighs, place in a baking pan, and set aside while we prepare the cranberry glaze. After the chicken is set aside, heat the olive oil in a skillet over medium heat and add the onions and saute them until they are soft and beginning to brown. Once the onions are fully sauteed, add in the cranberries, apple cider vinegar, honey, and water. 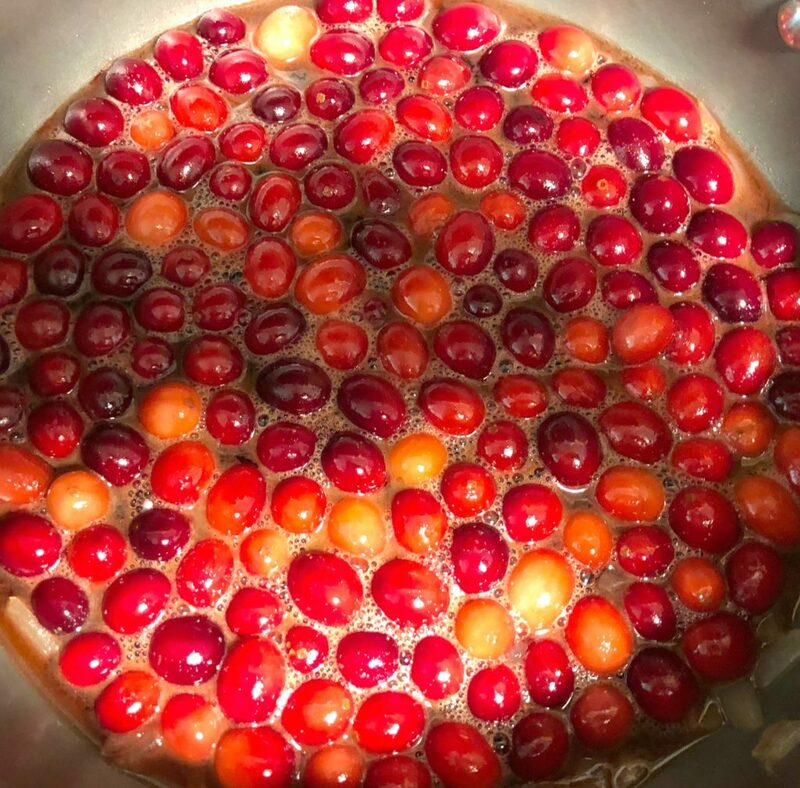 Cook for about 8 minutes, stirring frequently so that the ingredients are mixed well and the cranberries cook on all sides. Next, remove the glaze from the heat and pour it into the baking pan over the chicken thighs. Flip the thighs so that they are fully covered by the glaze. Now cover the pan and place it in the fridge for 30 to 60 minutes to let the chicken marinate. When you are ready to bake your chicken thighs, preheat oven to 350 degrees, remove the pan from the fridge and sprinkle the top of the chicken with thyme, salt, and pepper. 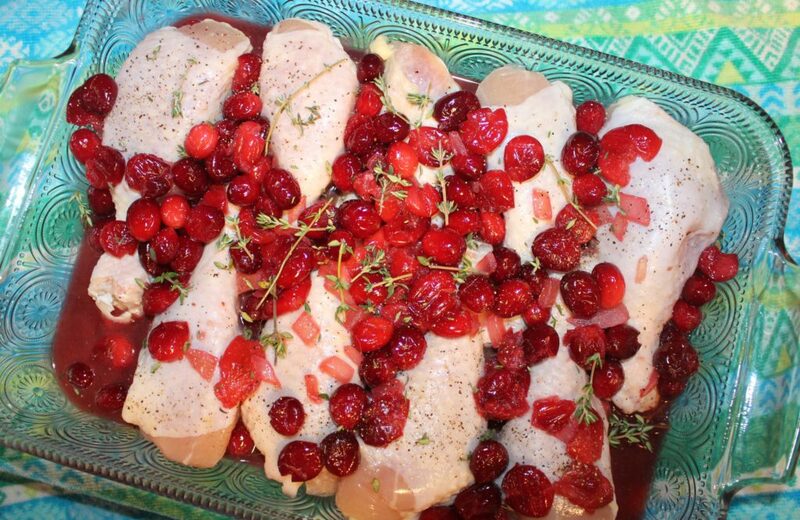 Place the cranberry chicken into the oven and bake for 25 minutes, then flip the chicken thighs and add another sprinkle of thyme, salt, and pepper. Continue to bake for 10 more minutes. Once the chicken is done cooking remove the pan from the oven, sprinkle with chopped fresh green onions and serve. 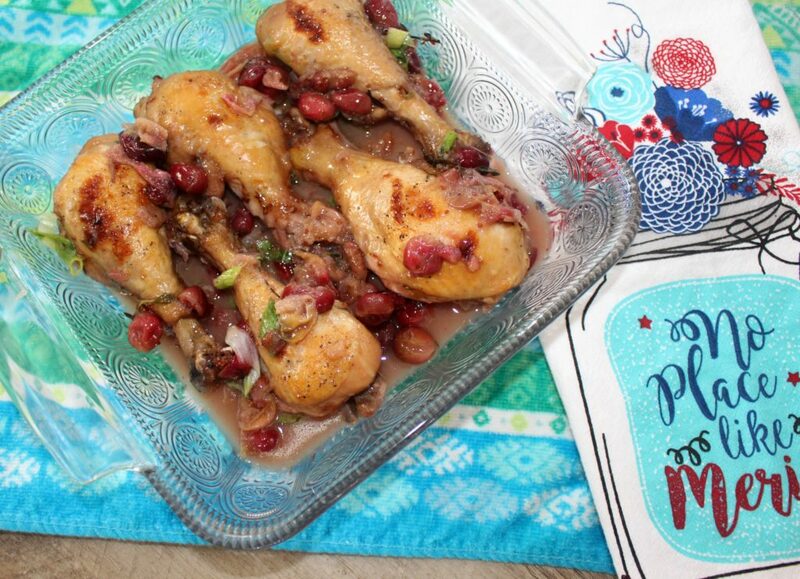 This has become a family favorite chicken recipe for Thanksgiving, as well as our Christmas chicken dish. 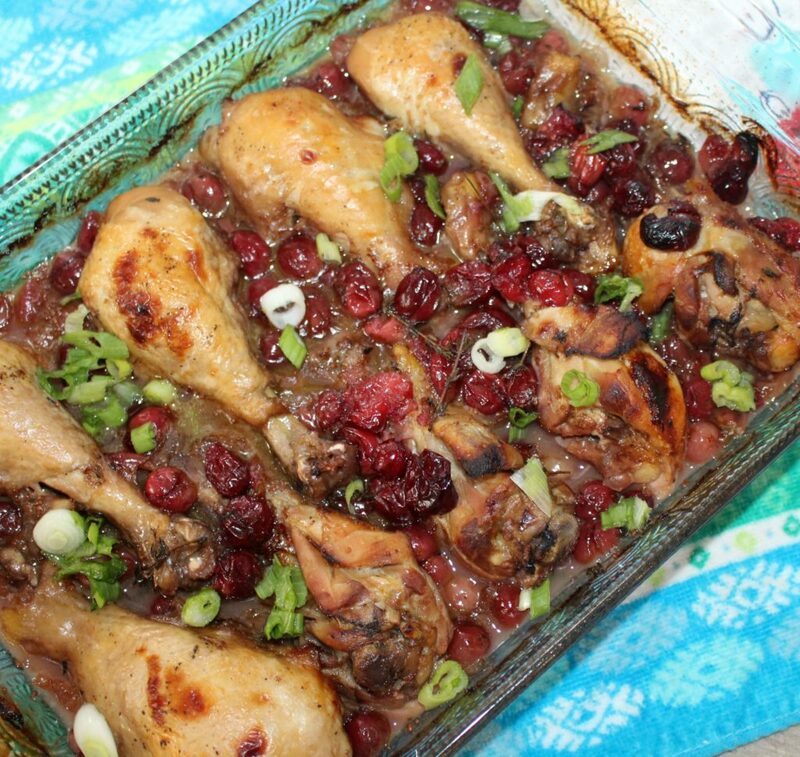 However, what I like about this cranberry chicken recipe is that it is completely versatile. I can make it with chicken breast or wings instead to make it work as an appetizer during football season or an easy weekday family dinner. 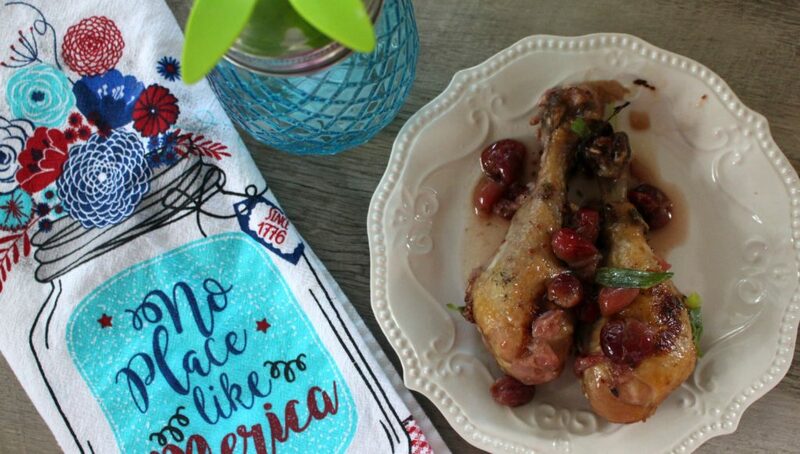 Have you tried cooking with cranberries before? What’s your favorite cranberry recipe? I am not a big fan of cranberries, but this looks amazing! I think I will be trying this recipe! This recipe looks delicious. Can’t wait to try it this fall. We love cranberries. I’ve never been a fan of cooked cranberries, but this does look interesting! Ill have to cook it sometime.